Handmade Soap is full of skin-loving properties and here's why it should become part of your daily skincare routine. A natural by-product of the soap making process is glycerin. Glycerin is a skin moisturizer, emollient (skin softener) and a humectant (draws moisture to it). When made traditionally, soap contains glycerin which hydrates the skin. Commercially-produced (or store-bought) soaps are commonly processed to extract the glycerin. The removed glycerin is then manufactured in other profitable products such as lotions and creams. 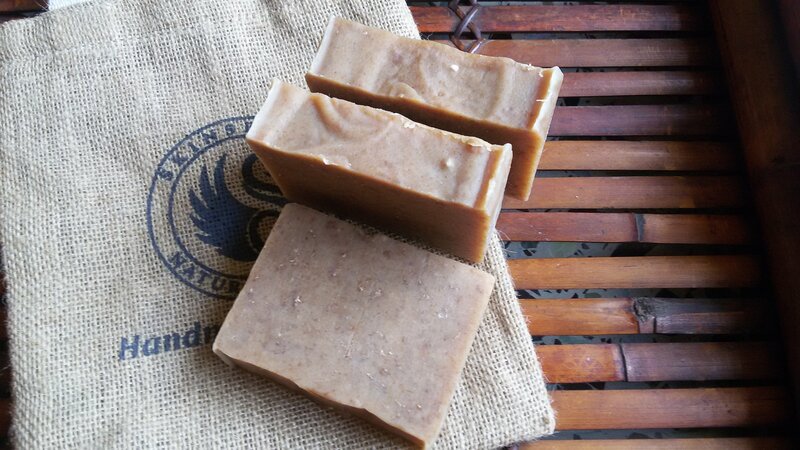 Soap without glycerin is harsh and drying; using it can lead to excessively dry and itchy skin. Handmade soaps retain their natural glycerin, therefore keeping your skin moistened and plump. Commercially, mass-produced soaps, also called Bathing Bars or Beauty Bars, are full of harsh , artificial ingredients that are dangerous for our endocrine, immune, reproductive and respiratory systems, not to mention what they do to our skin. Many of these ingredients, such as propylene glycol, have known side effects such as dermatitis (skin rashes) and eczema. These toxins are added to soap to produce desired results such as increased lather, stability and creaminess. Handmade soaps on the other hand are typically made using natural ingredients such as coconut oil, olive oil, almond oil and shea butter which are gentle and nourishing to the skin. The artisan's choice of ingredients determines whether the soap has a rich, creamy lather or soft, airy bubbles. To harden the soap, the artisan may add more coconut oil; to give it tons of lather, castor oil may be added. With experience and time, the soap comes out just right using nature’s finest ingredients, not harsh chemicals. Another major difference is the addition of essential oils versus fragrance oils. Fragrance oils are artificial scents that are used in many products from soap to body washes, candles, lotions, perfumes, laundry detergent and dryer sheets, the list goes on. Essential Oils on the other hand are 100% pure oils extracted from plant material. When essential oils are applied to the skin or inhaled when showering with soap, they release a symphony of aromas that have been known to cause positive psychological effects. By choosing soaps made with pure essential oils, you automatically gain the mental/emotional/spiritual benefits of nature's luxurious gifts ! Slight variances such as temperature, humidity and the angle the soap falls into the mold guarantees not one bar of soap will ever be the same. Natural ingredients vary based on growing conditions. Climate, geographical location and time of year all effect how the final harvest is reaped. Handmade Natural Soap is much different in texture and feel than a store-bought soap and the way it lathers, smells and cleanses show how unique and marvelous it truly is. What better way to moisturize your skin and calm your senses with aromatherapy and embrace the uniqueness of life, than by using our amazingly soothing yet wonderfully simple handmade soaps! 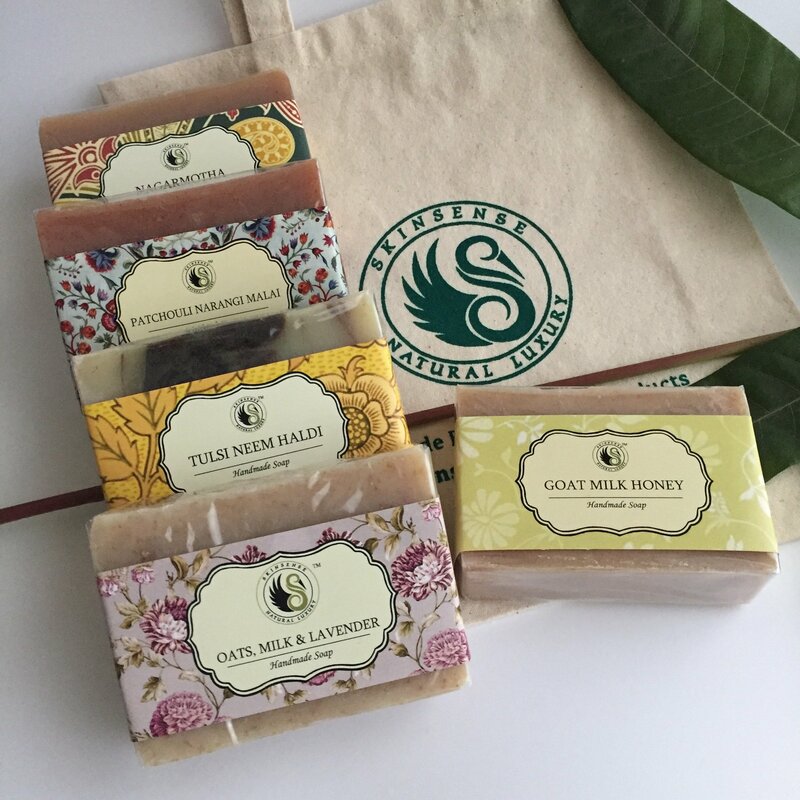 ORDER YOUR SOAPS TODAY !